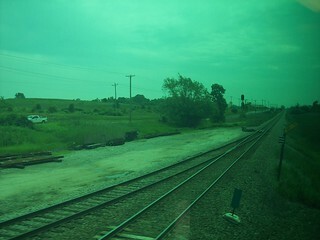 Metra's North Central Service and Milwaukee District North lines cross just north of the Prairie Crossing station. 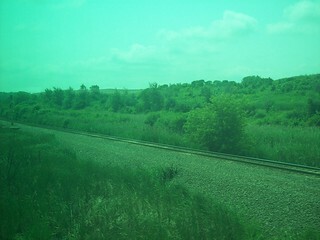 Above we see the Milwaukee District tracks from a North Central Service train. 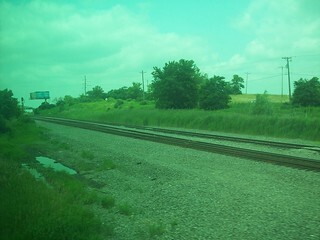 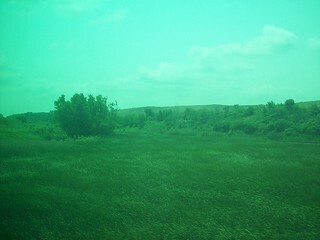 Here we see the North Central Service tracks from a Milwaukee District North Line train.